Luxury Waterfront Paradise! 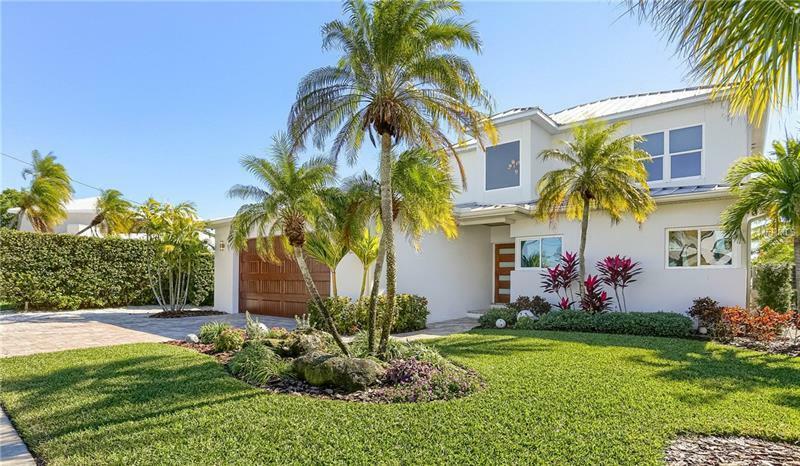 Magnificent Beach-Modern Dream property available in desirable Madeira Beach waterfront community. Beautiful Chefs kitchen with gleaming granite counters stainless steel appliances & oversized kitchen island with built in cooktop. Guest-bath & Laundry conveniently located by kitchen and the 2 car garage. Downstairs and upstairs Master-suites with amazing water-views everywhere you look. High ceilings compliments the airy fresh move in ready feel that come to mind when you enter this home. Modern electric fireplace in living room double pocket sliding glass doors leading out to the beautifully paved outdoor kitchen/tiki bar area with the inviting pool with built-in spa. Jim Carr Coastal Construction Co spared nothing when building this home. The upstairs Master-suite is complete with the indoor/outdoor gas fireplace exquisite Master-bath boasts an oversized shower with Rain shower-head. Large walk-in closet & dressing area completes the upstairs Master-suite. The outdoor deck leading off the Master-suite invites you to take in the Sunrise in the mornings & Sunsets at night while watching the wildlife play in the blue waters sipping your favorite morning or evening drink. Fish off your dock which includes a 10000 lbs boatlift. Walk to a multitude of Restaurants shops and the beautiful sand of Madeira Beach. 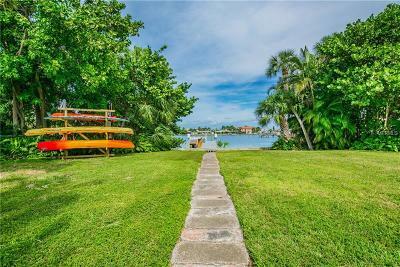 This Showcase Home & sought after Beach Community offers everything you could ever dream of living in beautiful Florida. Call today to schedule your private showing.